I write a lot about improving your portfolio, whether it’s by choosing an appropriate asset allocation, minimizing costs, or minimizing taxes. All of those things are important. But it it’s also important to recognize that, no matter how hard you try, your portfolio will never be perfect. I recently had an email conversation with an investor who had determined that, by moving his IRA to a different brokerage firm and shifting the holdings in his 401(k), he could reduce his average expense ratio by 0.05% per year while keeping the same overall asset allocation. On this investor’s roughly $100,000 portfolio, reducing costs by 0.05% would have amounted to $50 of savings per year. Saving $50 every year certainly isn’t a bad thing, but it’s unlikely to make or break his retirement plans. And it might not be worth the hassle of moving accounts from one brokerage firm to another–especially given that his current brokerage firm could end up being the lowest-cost choice a few years from now. Similarly, I often receive emails from people who recognize that their holdings are a mess and that something needs to be done about it, but they can’t bring themselves to make any changes because they want to have everything “just right” before pulling the trigger. Should you use ETFs or index funds? Should you use Vanguard or Fidelity? Should you have 45% of your portfolio in stocks or 60%? Should you invest 20% of your stock holdings internationally or 40%? Should you overweight small-cap/value stocks? Should you have a specific allocation to REITs? Should you own any bonds other than Treasuries? Should you own international bonds? Should you stick with short-term bonds, intermediate-term bonds, or both? All of those questions (and many others) have reasonable arguments that can be made on each side. If you try to find the “right” answer to each and every such question, you’ll never get anywhere. At some point, you have to accept that your portfolio will never be perfect. Perfect portfolios do not exist. But good portfolios do. And a good portfolio can get the job done. “Toward the end of last year, I started doing some freelance work in addition to my full time job in order to make ends meet. This year, my freelance earnings have really taken off. 100% of your tax from last year (110% for high income taxpayers), which can be found on Line 44 from last year’s Form 1040. For most people who work as employees, their withholdings are enough to meet one or both of those requirements. So there’s no need to worry about estimated taxes. Similarly, it’s likely that the withholdings from Mary’s full time job will be enough to cover 100% of her tax from last year, so she probably doesn’t have to worry about underpayment penalties. Still, she should make a point to stow away some cash to pay her (larger) tax bill this year when tax season rolls around. What if Withholdings Aren’t Enough? Increase the withholdings from her regular job. 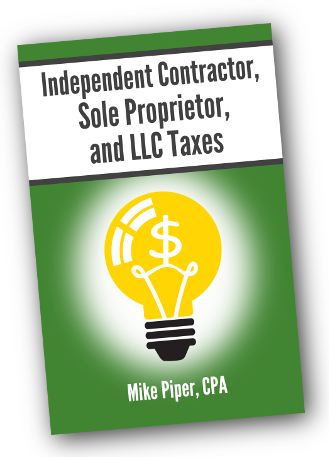 If Mary chooses to go the estimated tax payment route, it’s important to note that she’s already missed the first two estimated tax payment deadlines (April 15 and June 15). So rather than wait for the next deadline to roll around and make a triple-sized payment, she should probably go ahead and make a payment now (assuming she has the cash available) in order to stop the ticking clock on her underpayment penalty. A better approach, however, is to increase the withholdings from her regular job. The reason this approach may be better is that payroll withholdings are treated as if they occurred evenly throughout the year–even if they didn’t. As long as the total necessary amount is withheld over the course of the entire year, there will be no penalty for underpayment, even if much more than 50% of the withholding was done in the second half of the year. To increase her withholdings, Mary should speak with her employer’s payroll department and request a new Form W-4. When filling out the form, reducing the amount of allowances she claims will increase the amount of money that will be withheld from each paycheck. If your retirement plan includes a stage of semi-retirement, you’ll want to take the Social Security earnings test into consideration when making your plans. In brief, the earnings test says that, for years before full retirement age during which you work while claiming Social Security benefits, for every $2 by which your annual earnings exceed a certain amount ($14,160 in 2011), your annual Social Security benefit will be reduced by $1. Example: Neal is two years away from full retirement age and is already claiming Social Security benefits. He worked this year and earned $25,000 (or $10,840 in excess of $14,160). As a result of the earnings test, his annual benefit will be reduced by $5,420 (half of the $10,840 excess). There are three additional points worth noting here. First, after reaching full retirement age, the earnings test doesn’t apply. You can earn as much as you want without a reduction in your benefits. Earnings for months of the year after you reach FRA are not taken into consideration. Contrary to what you might expect, if your benefits are reduced as a result of the earnings test, they will not be reduced on a pro-rata basis throughout the year. Rather, your benefits will be withheld completely until the withholding requirement for the year has been satisfied. Example: Aside from the earnings test, Laurie’s Social Security benefit would be $18,000 per year ($1,500 per month). However, because of the test, her benefit will be reduced by $4,500 this year. As a result, Laurie will receive no benefits in January, February, or March. Then she will receive full benefits for the remaining nine months of the year. When Laurie reaches full retirement age, her benefits will be recalculated to adjust for the months that she didn’t actually receive full benefits. That is, if she had claimed benefits 48 months before FRA, but the earnings test eliminated her benefits for 12 of those 48 months, her benefit will be recalculated as if she had only claimed 36 months early rather than 48. One of the most hotly debated topics among passive investors is whether or not it’s advantageous to “tilt” your asset allocation toward small-cap or value stocks rather than using simple “total US stock market” and “total international stock market” funds for the stock portion of your portfolio. To understand the argument in favor of overweighting small-cap and/or value stocks in your portfolio, we first need to back up a step. From the 1960s to the early 1990s, the Capital Asset Pricing Model (CAPM) was the prevailing method for understanding the expected returns of a portfolio. CAPM stated that the expected return of a portfolio should be proportional to the amount of market risk the portfolio takes on. The “book to market” ratio of the stocks in the portfolio (i.e., are they growth stocks or value stocks?). The conclusion: A portfolio’s expected return increases not only as a result of increasing the allocation to stocks in general, but also as a result of increasing the allocation to small-cap stocks and/or value stocks. This concept became known as the Fama French 3-Factor Model. A clever reader might wonder why would anyone want to increase the allocation to small-cap stocks or value stocks rather than just increasing the allocation to stocks overall. The answer is found in another historical observation: These three risks (market risk, small-cap risk, and value risk) have tended to have low correlations to each other. That is, they tend to be detrimental at different times, thereby making them useful diversifiers for each other. For example, rather than building a portfolio dominated by market risk (i.e., a portfolio whose stock allocation is mostly a “total stock market” holding), an investor could decrease his market risk (by decreasing his stock allocation) and increase his allocation to small-cap and/or value stocks. Historically, such a change would often result in a reduction of overall volatility without a reduction in return. Is It a Market Inefficiency? Some investors argue that the historical outperformance of small-cap and value stocks is (mostly) a market inefficiency that we shouldn’t expect to persist now that it’s so well known. The line of thinking behind this criticism is that the additional volatility of small-cap stocks relative to large-cap stocks and value stocks relative to growth stocks is not sufficient to justify their much higher historical returns. Even if small-cap/value outperformance was an inefficiency and it has been eliminated, there’s no reason think that a portfolio tilted toward small-cap or value stocks would perform any worse in the future than a “total market” portfolio. So why, despite the evidence showing that, historically, “tilting” one’s asset allocation slightly toward small-cap and/or value stocks has tended to increase returns somewhat without a corresponding increase in portfolio volatility, do I not overweight small-cap or value in my own portfolio? To answer that question, we first need to back up a step and discuss a general asset allocation principle. By definition, a small-cap/value-tilted portfolio will have some periods in which it underperforms a “total market” portfolio and some periods in which it outperforms. This is known as “tracking error,” and it isn’t necessarily a bad thing. If, however, you’re somebody who would start to doubt your choice–and potentially back out on it at the worst time–during a period of relative underperformance, you should think twice about implementing a tilted portfolio. And that’s the boat I’m in. For whatever reason, I’ve come to have a strong suspicion of anything remotely clever when it comes to investing. Usually, when somebody promises higher expected returns without an increase in risk, they’re full of baloney. And so, when it comes to overweighting small-cap/value stocks, I see the benefit now, when looking at it from a detached point of view. But I’m not at all sure how confident I’d be if it were my actual money at stake and my (tilted) portfolio had just underperformed a “total market” portfolio for the last several years. Instead, I stick with a portfolio that I have a more intuitive grasp of: a tiny, tiny slice of the world economy, plus a smattering of bonds. In short, I choose a portfolio that (depending on who you ask) may be slightly inferior, but the implementation of which I’m more confident I won’t mess up. Save for Retirement or Save for College? I don’t always agree with conventional wisdom, but in this case I think it’s on-target. Retirement saving should usually be a higher priority than saving for one’s children’s college. You can often take out very low-cost loans to pay for college. There are no such loans available to pay for retirement. You get to choose when you go to college. You don’t always get to choose when you retire. There’s a possibility of college scholarships. There are no retirement scholarships. In addition, IRAs offer a bit more flexibility than 529 plans in that amounts in IRAs (Roth, traditional, SEP, etc.) can be withdrawn without having to pay the 10% penalty if you use the money to pay for qualified higher education expenses. In contrast, if you were to withdraw earnings from a 529 plan in order to pay for retirement expenses, you’d (usually) have to pay a 10% penalty. That said, if you’re already ahead of schedule with regard to retirement savings, it can be a great idea to start funding a 529–especially if your state offers tax breaks in addition to the Federal ones. As we’ve discussed before, I have a strong distrust for most online retirement planning calculators. They tend to be based on such poor assumptions that the calculator’s final output ends up being meaningless. Even if your retirement savings are on track though, I’d suggest erring heavily on the side of retirement savings rather than college savings. It’s easy for an investor who was on track saving for retirement to end up off track after an unexpected period of unemployment or after being forced into retirement several years earlier than expected. 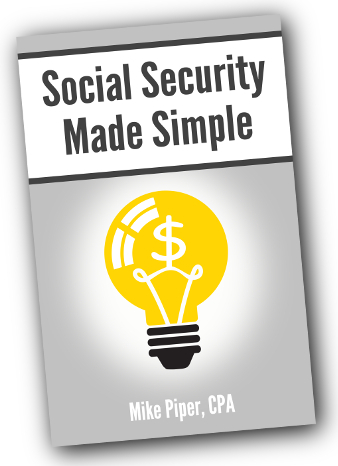 *If you use the “Get your SSA.gov Social Security benefit estimate” button, having changed your income input will throw that estimate off. That said, Social Security benefits are calculated based on your 35 highest-earning years, not just your current income, so any estimate based only on your current income (even if it’s your correct current income) is unlikely to be of much value. Wednesday’s article about viewing your accounts as one portfolio rather than several separate portfolios drew more questions than any other article on this blog has. (At least I think so. I don’t actually keep a tally.) Mostly, people liked the idea, but had trouble figuring out how to implement it in their own situation. Determine your target overall asset allocation. 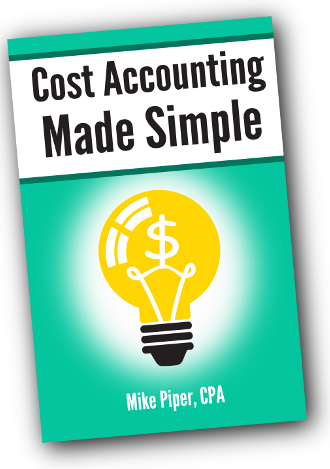 Implement it in the lowest-cost way possible. That’s what you do when you first implement the portfolio, and that’s what you do every time you rebalance. One sticking point many people had was that it doesn’t seem possible to rebalance between accounts (Roth IRA and 401(k), for instance) when you cannot move money between them. Fortunately, moving money between accounts isn’t really necessary. 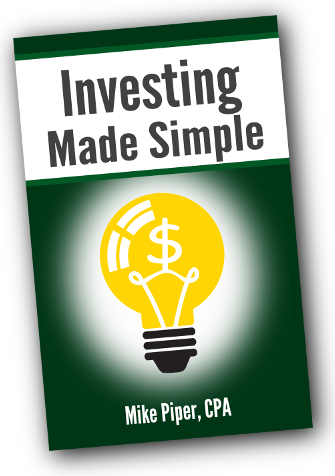 Let’s use a simplified example: On January 1, 2011, Amanda had $100,000 in her 401(k) and $100,000 in her Roth IRA. She wants to use a 50/50 allocation between bonds and U.S. stocks. Amanda’s only low-cost option in her 401(k) is a bond index fund. To meet her allocation, Amanda puts her entire Roth IRA into a U.S. stock index fund and her entire 401(k) into the bond index fund. $105,000 in the bond index fund in her 401(k). Determine the target overall asset allocation. No need to actually move money between accounts. Of course, things don’t always work out as nicely as they did for Amanda. For example, if your 401(k) is the overwhelming majority of your portfolio, and you only have one low-cost investment option in that account, then it’s likely that the lowest-cost method of implementing your asset allocation will involve holding a high-cost fund (or two or three) in your 401(k). $10,000 in a Vanguard traditional IRA. 50% bonds ($80,000 of his $160,000 portfolio). Result: To meet his desired allocation, Paul still has to hold high-cost funds in his 401(k), but he’s minimized the damage as much as possible. Also, a few readers correctly pointed out that the benefits of looking at everything at a portfolio level (as opposed to an account level) vary from person to person. For example, if all of your accounts are tax-sheltered, and they’re all with brokerage firms that have low-cost options in every asset class, then it doesn’t matter a great deal whether you implement your desired allocation at the portfolio level or the account level. Just do whatever you find easiest.